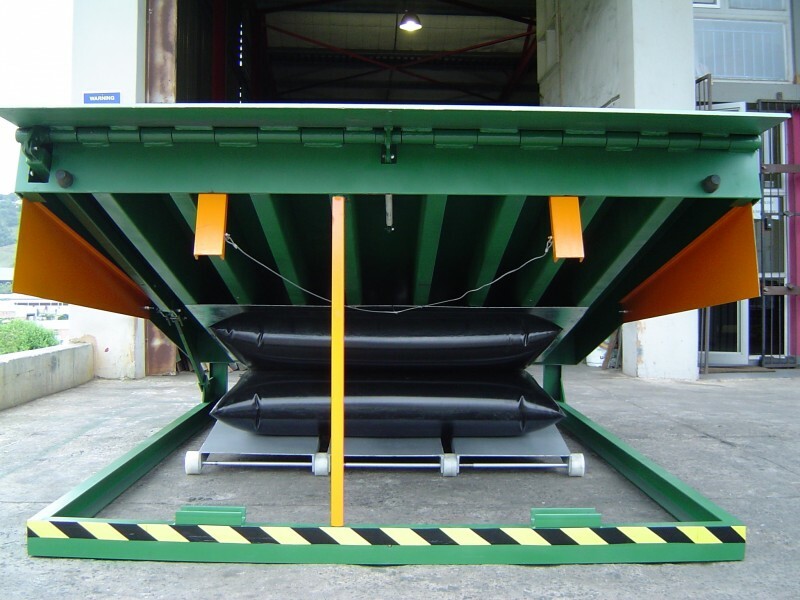 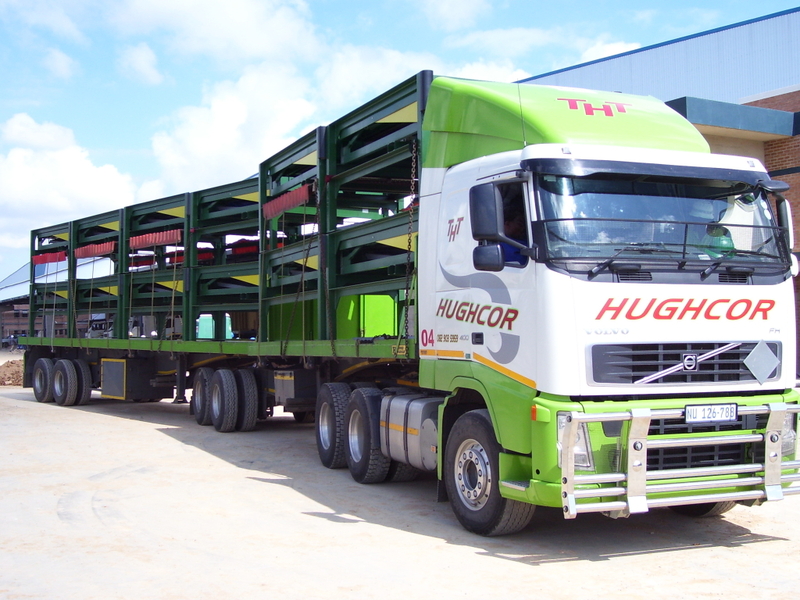 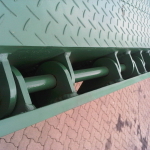 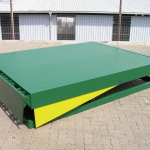 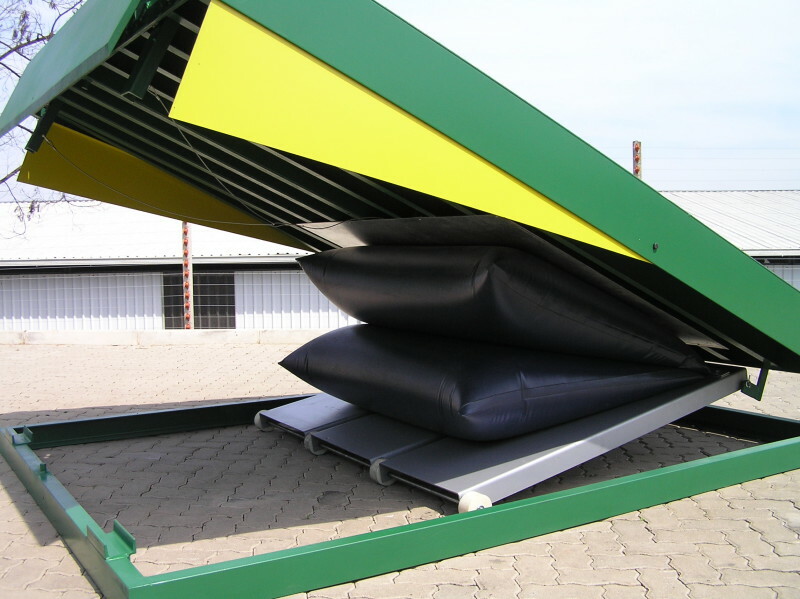 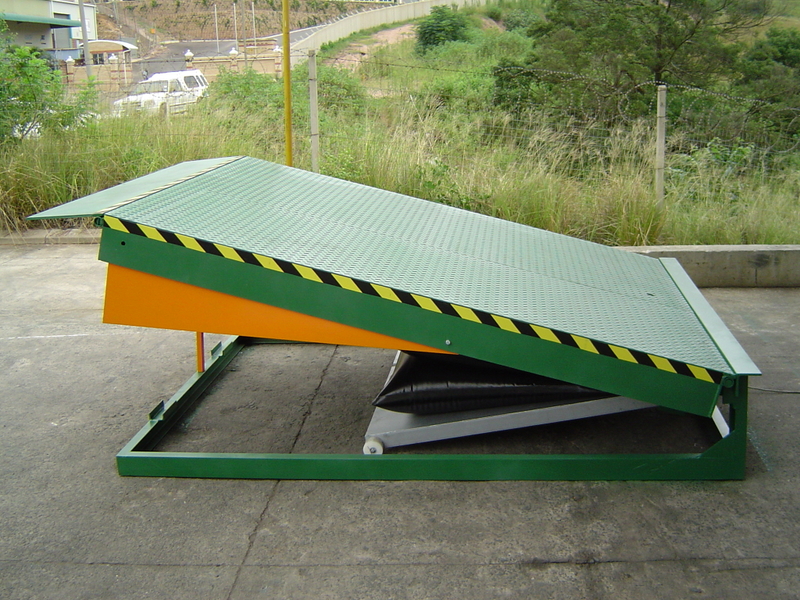 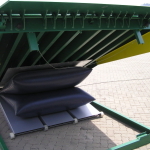 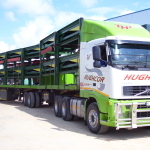 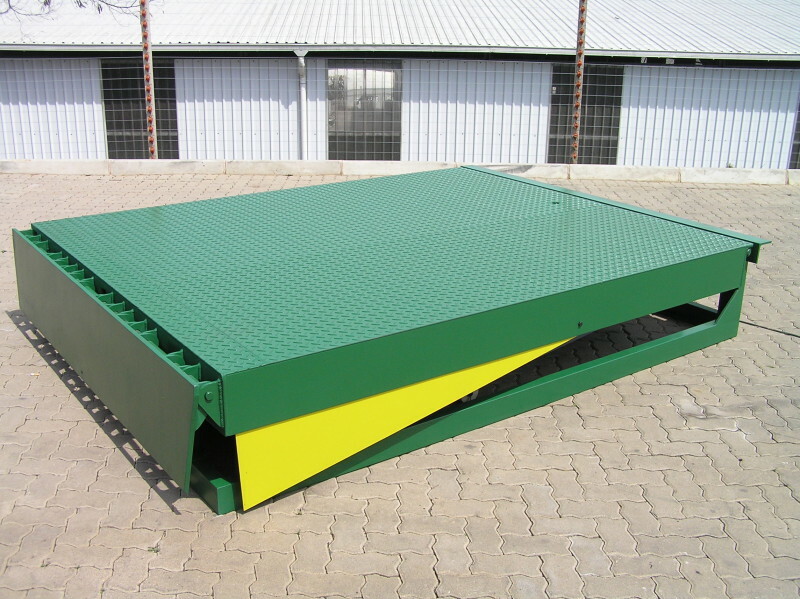 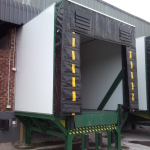 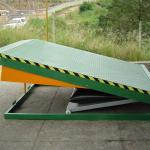 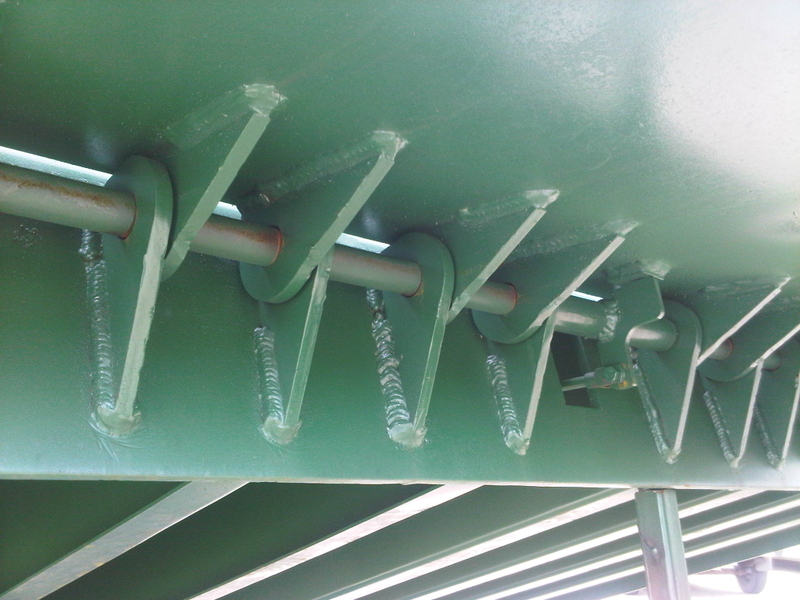 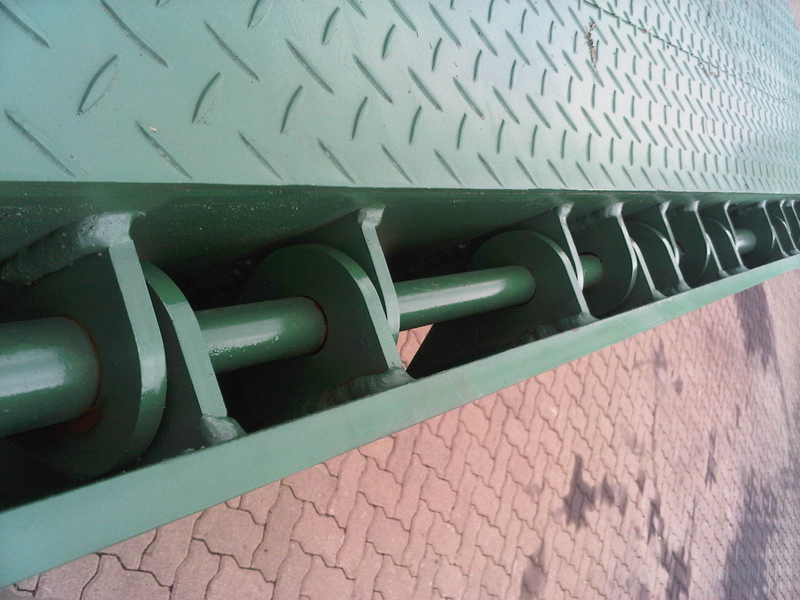 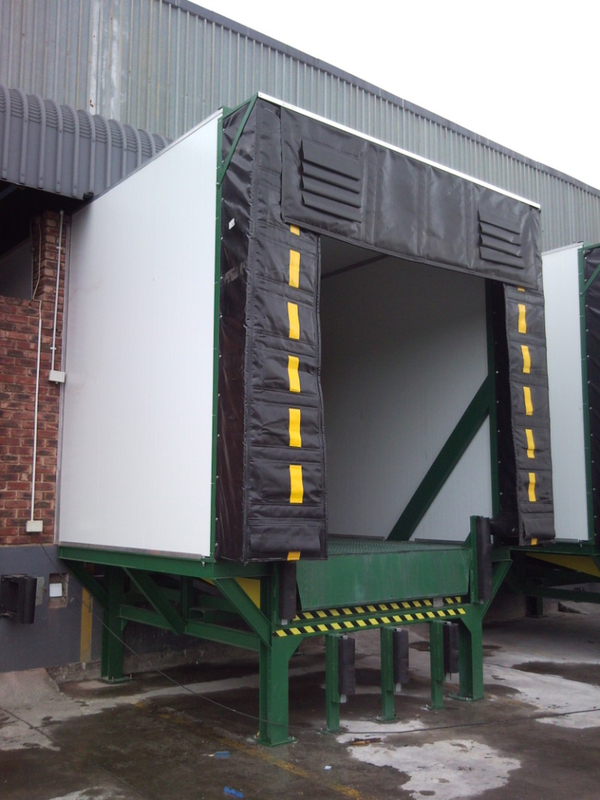 The airbag dockleveller has become the dockleveller of choice in warehousing across Southern Africa. 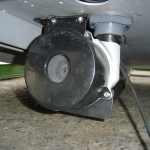 It has it’s own air source in the form of a blower motor. 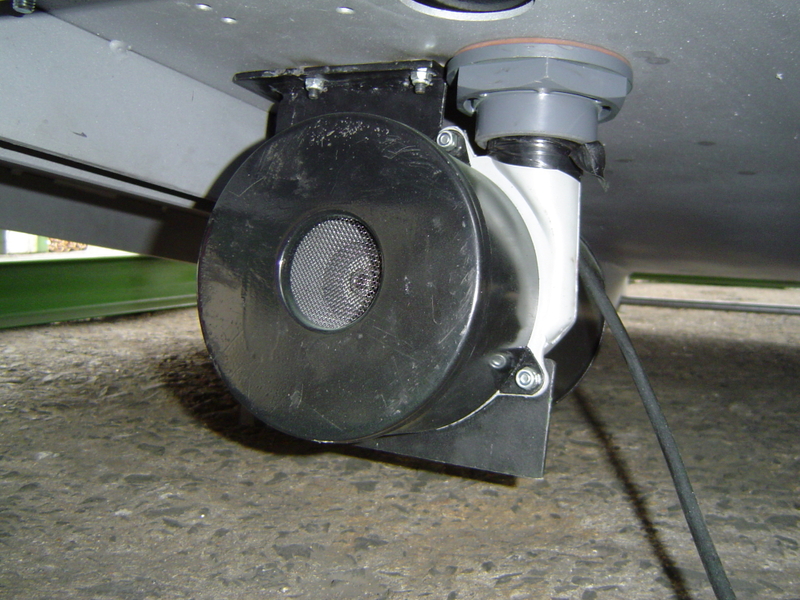 This is a low pressure high volume air source. 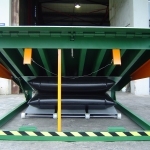 10 ton Standard carrying capacity, however higher ca pacities can be supplied . 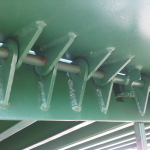 Single phase electricity is used. 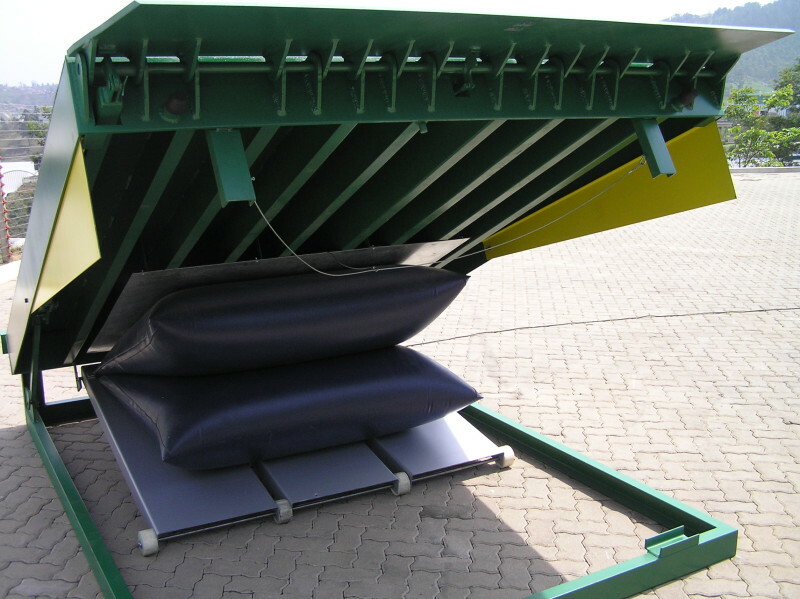 Airbag operation avoids hydraulic spillage which is especially beneficial in the food industry helping avoid food contamination. 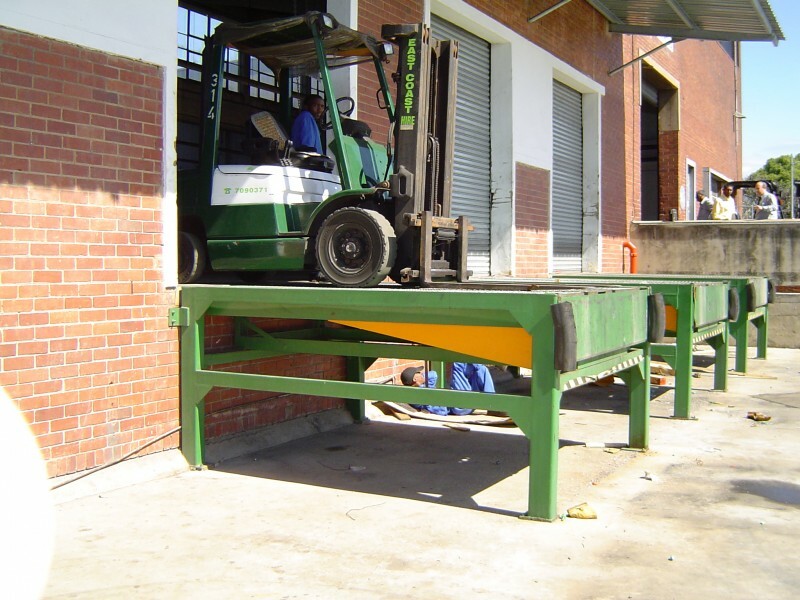 Service intervals are longer than other systems. 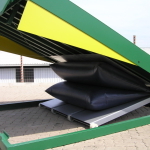 Our airbag is made from imported materials however is locally manufactured. 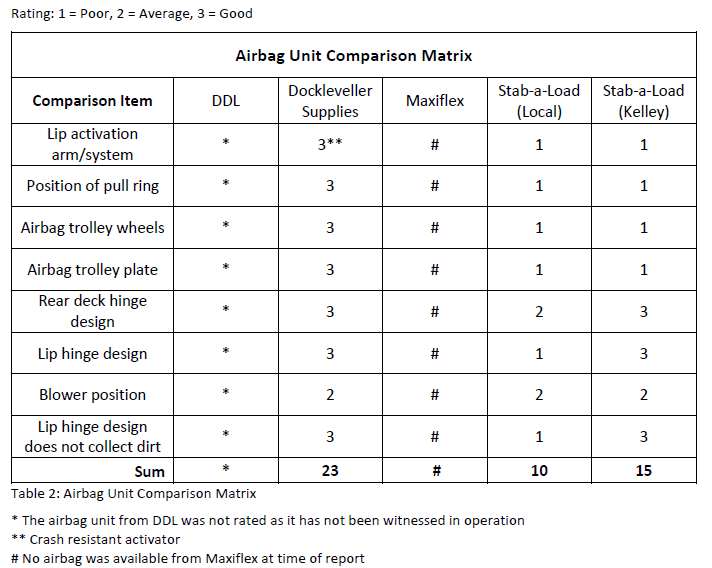 Standard 220V, 1Ph, 50Hz, 20 amps.